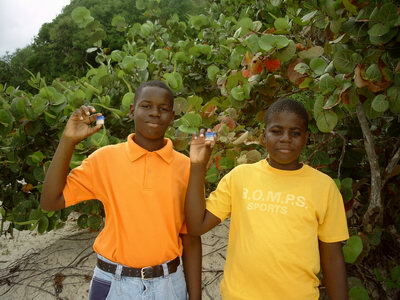 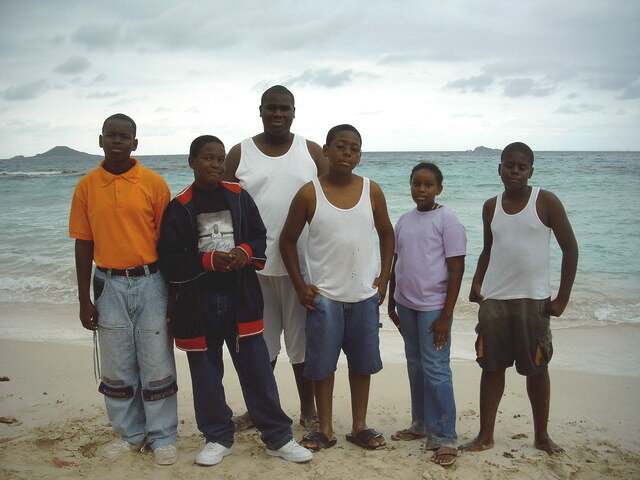 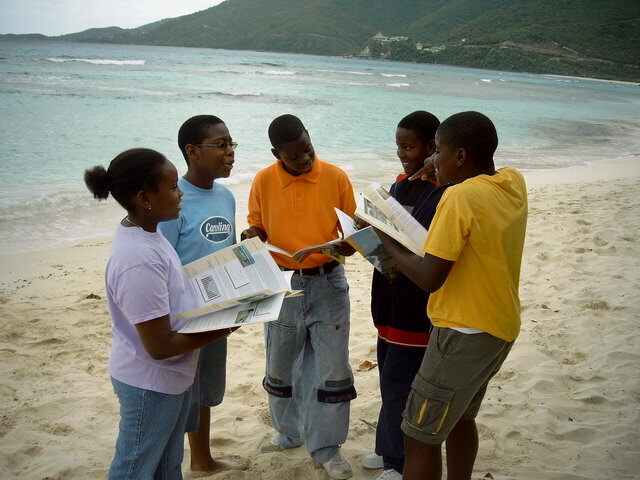 On Sunday 7th of May, 2006 as part of our schools Sandwatch Project six students went down to the Savannah Bay Beach with our teacher to conduct a few experiments on the environment. We do Sandwatch to learn about our beaches and how it changes over time, and to see if the beach is good and healthy or is being hurt by pollution or other stuff. 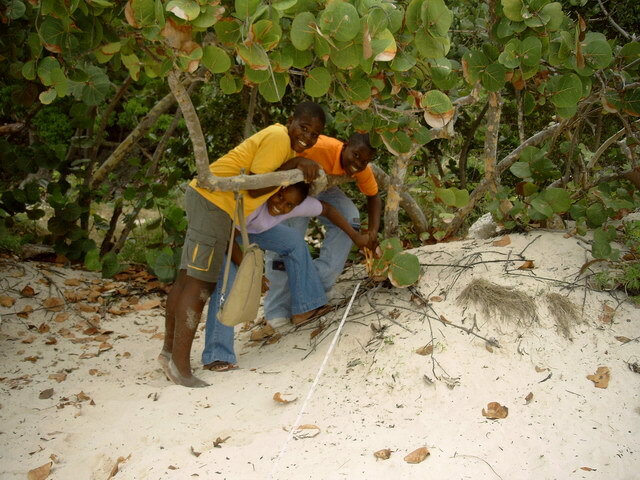 We have to do all the experiments and measurements on the beach once a month for the next year! Schools all over the world work on Sandwatch to study their beaches as well. 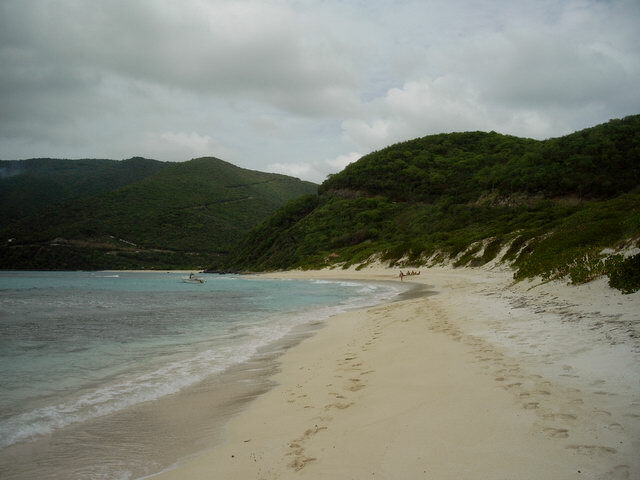 We all got to the beach at 1pm and I met three of my friends who work for the school newspaper as well.We measured the beach in three spots to see what the high tide mark was, so that we can see if the beach is getting bigger or smaller over time. 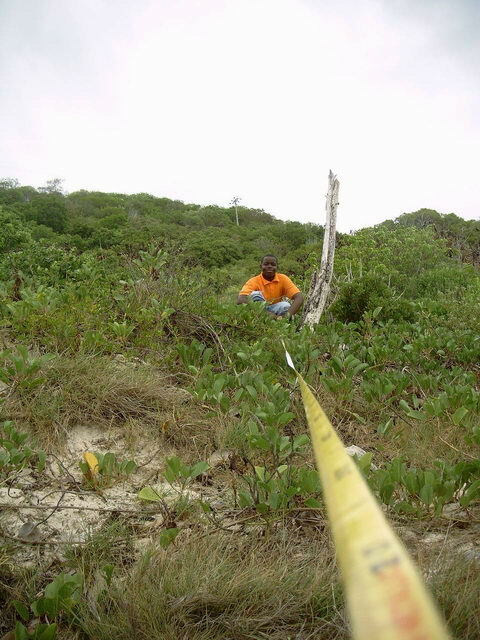 I got a lot of burs in my foot doing the measurements and everybody laughed at me. The most exciting part of the experiment was where we dyed the water purple to measure the direction of the waves and currents, and we got dye all over our pants. 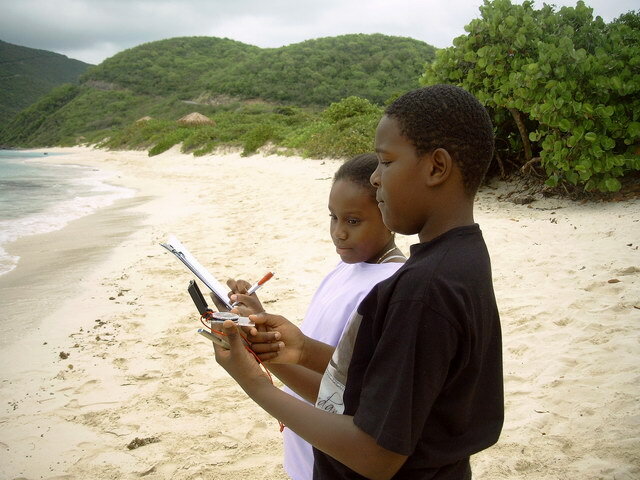 Other experiments we did were measuring wave heights and direction, as well as water and air temperature. 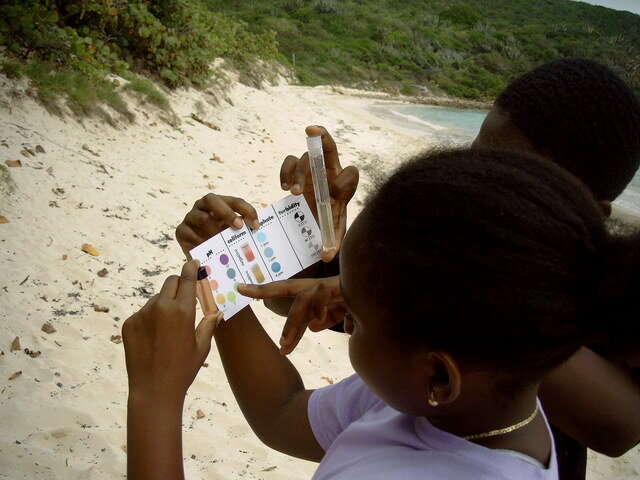 We took some sand sample that we later looked at under our digital microscope, and found that the beach is all made of crushed shells and coral. 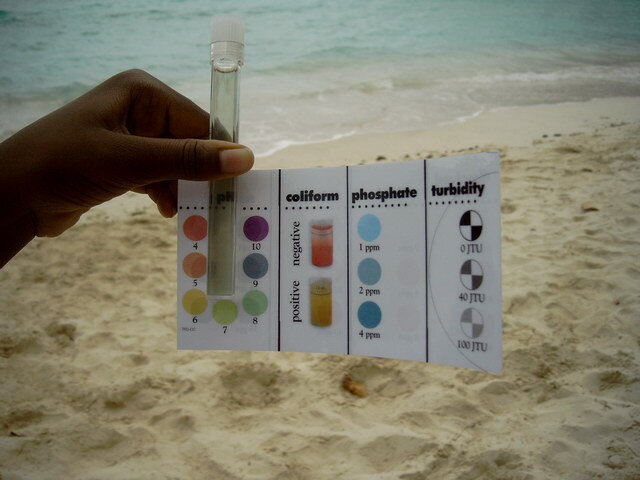 We even helped our teacher do a lot of tests on the seawater to test for things like (the levels of) phosphates and nitrates, as well as pH levels. 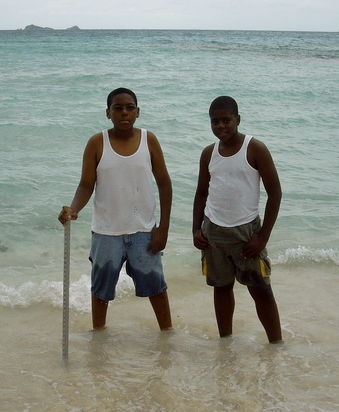 These were all normal. 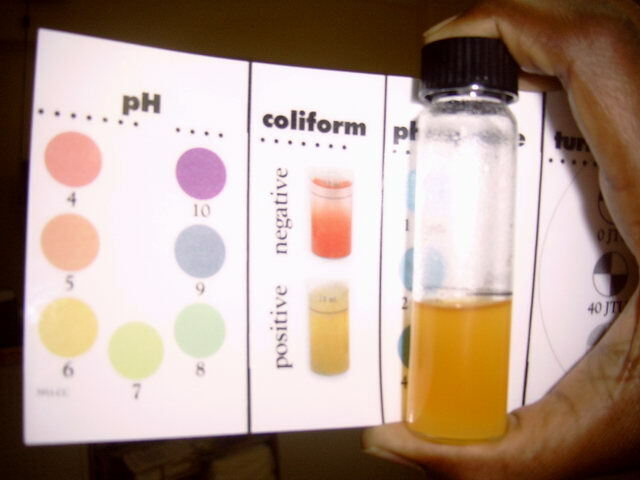 We also did a coliform test, which is a bacteria that comes from sewage and can make people really sick. 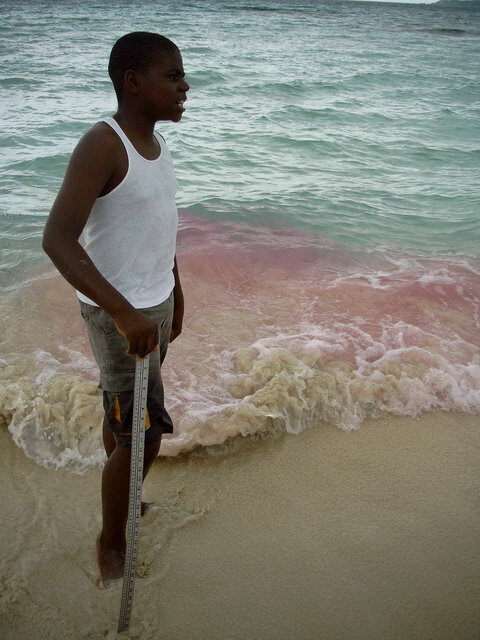 It can also it kills coral reefs as well. 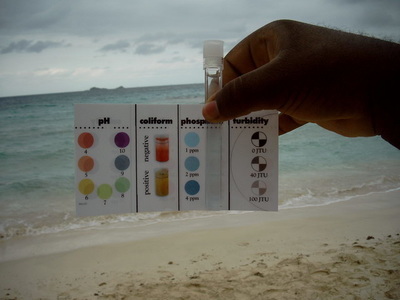 It showed high levels of coliform in the sea water! 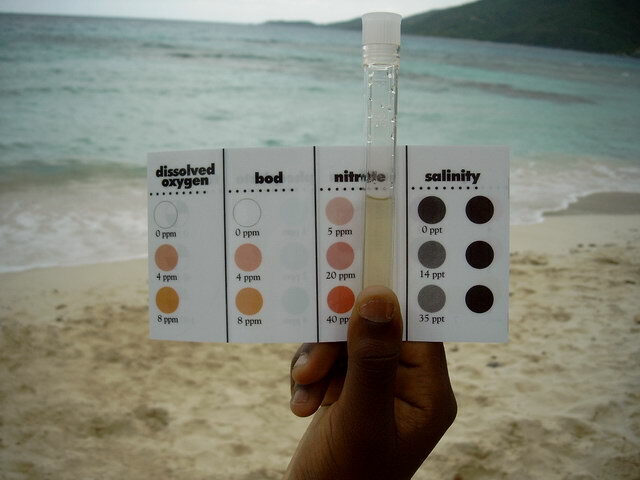 This means that somehow a lot of sewage is getting into to Savannah Bay, but we don’t know how yet. 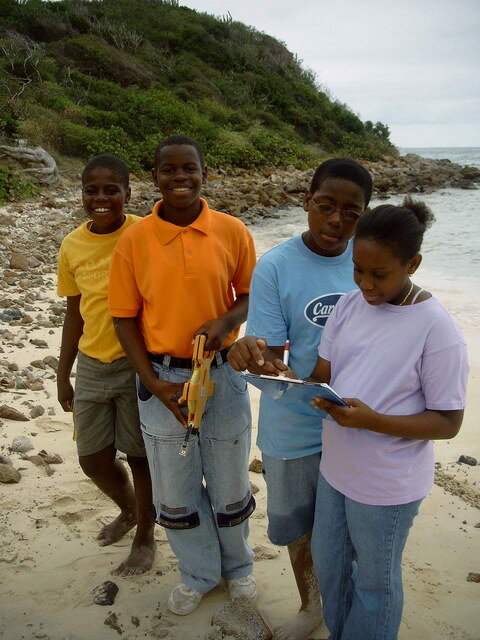 So we called Ms. Shannon Gore, a marine biologist at the Ministry of Conservation & Fisheries to tell her about what we found. 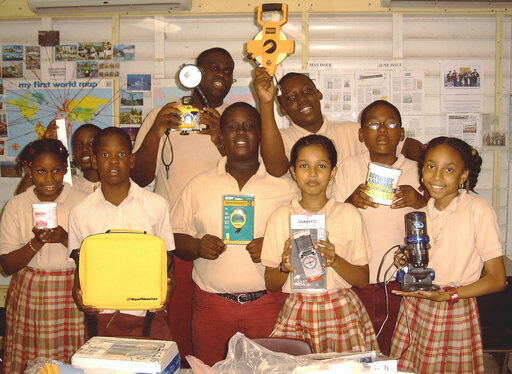 She came up to the school to see us, and told us that she will send some over to Virgin Gorda to do more tests on the water. She said that sewage shouldn’t be in the water at Savannah Bay. 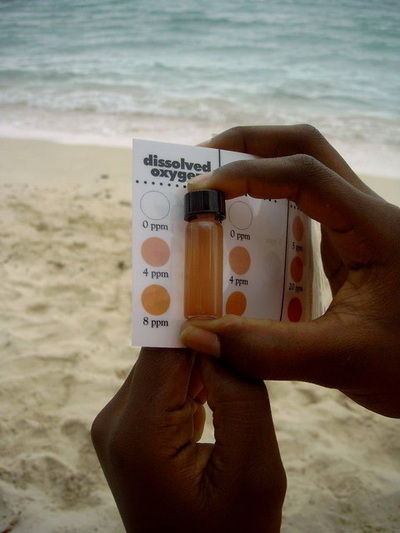 We hope other BVI schools will get involved with the Sandwatch Project and look at their beaches.